The NW Regional Key collaborates with regional early learning and school-age partners to support positive outcomes for children. Pre K Counts is an initiative to build and strengthen pre-kindergarten partnerships. United Way of Erie plays a unique role both as a leader in the health/human services sector. Visit Us at Carnival for a Cause! 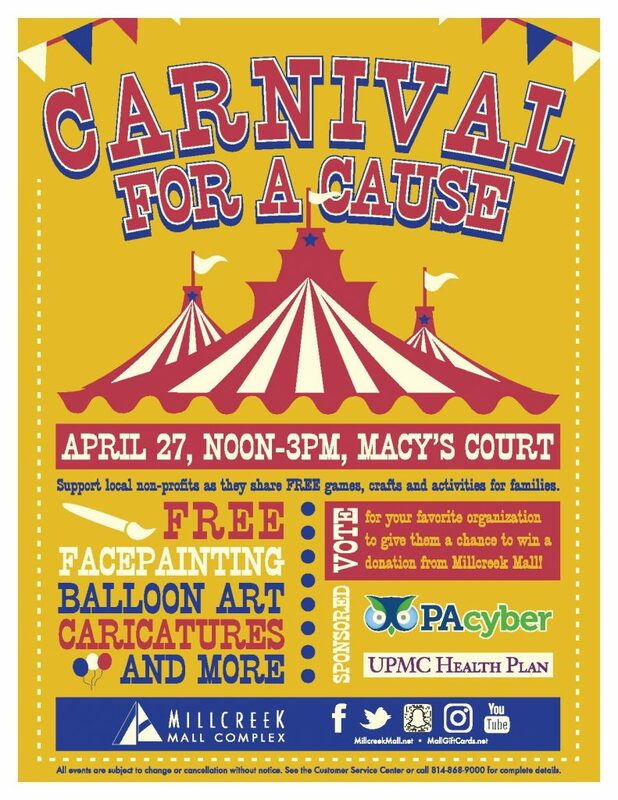 Come visit us at the Millcreek Mall’s Carnival for a Cause on Saturday, April 27th from 12-3 pm in the Macy’s Court area. Check out our awesome carnival-themed photo booth complete with fun props for your photos! 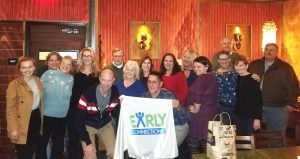 Spring is finally here and Early Connections is ready to celebrate with a family-oriented event for all ages! 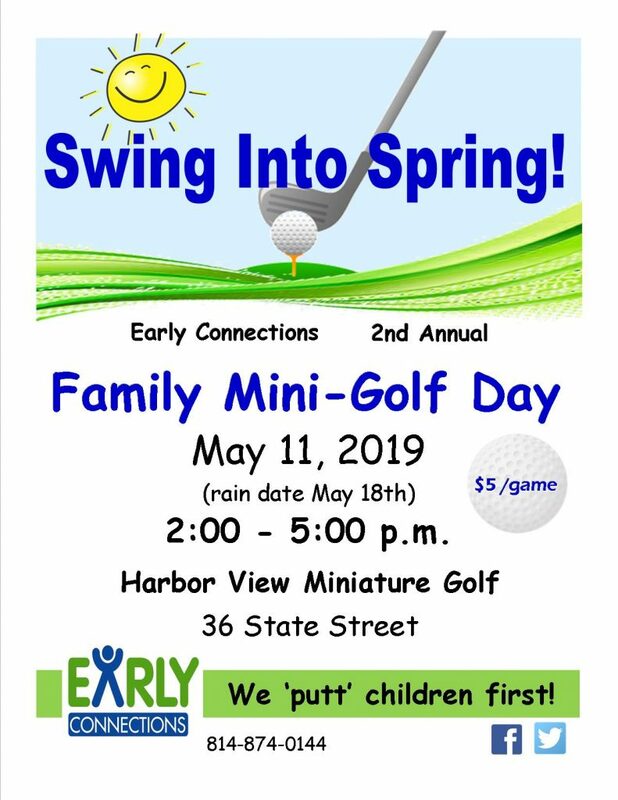 Join us for Early Connections’ Family Mini-Golf Day, May 11, 2- 5pm at Harbor View Miniature Golf, 36 State St. (rain date – May 18). Open to the public. 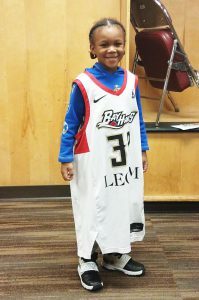 Cost is $5/game, a portion of the proceeds of each game benefits children’s programs at Early Connections. 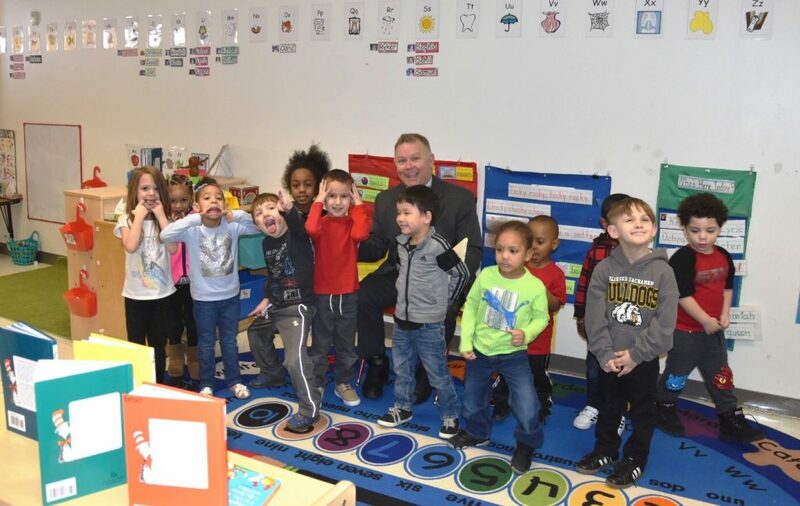 Rep. Pat Harkins, Rep. Bob Merski, and Mrs. Emily Merski visited Early Connections West Side recently to read some Dr. Seuss books to our Preschool students. We hope they will come read to us again! 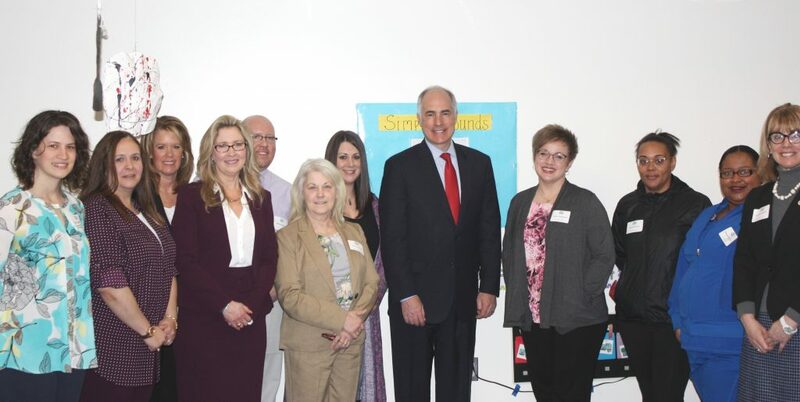 U.S. Sen. Bob Casey, D-PA met with parents and educators at Early Connections in Erie to talk about the need for affordable, quality childcare. 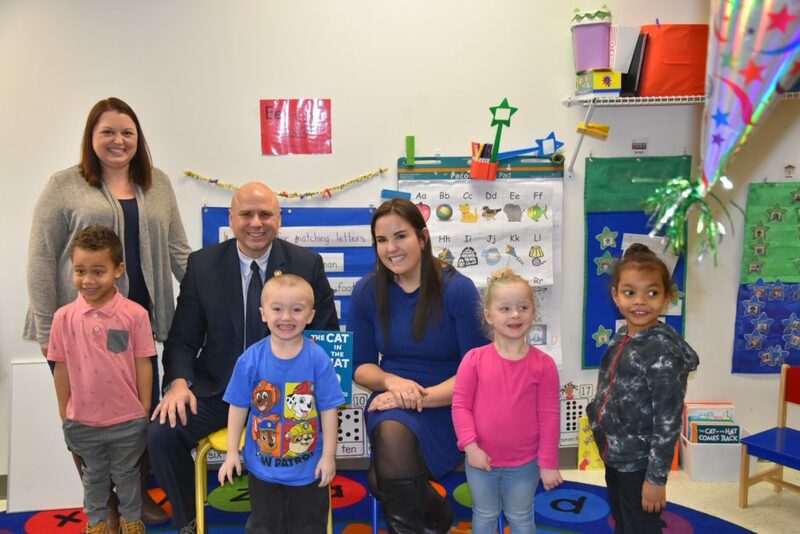 His stop was one in a series of visits to child care centers across the state to discuss two proposed bills: the Child Care for Workings Families Act of 2019, which he co-sponsored, and the Child and Dependent Care Tax Credit Enhancement Act. 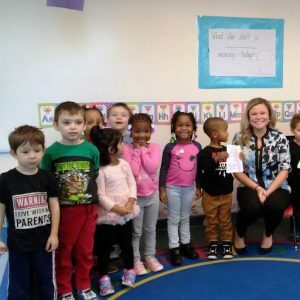 Both pieces of legislation would make it easier for working families to afford child care and would increase access to child care for more children. 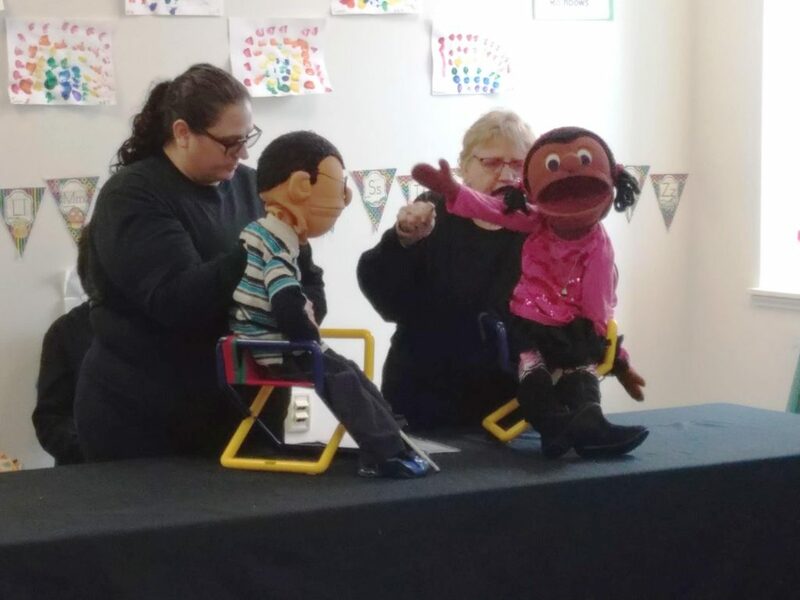 Kids on the Block, a troupe of puppets with and without disabilities, performed for Early Connections preschoolers today. The performances are designed to teach children about differences and similarities in people. 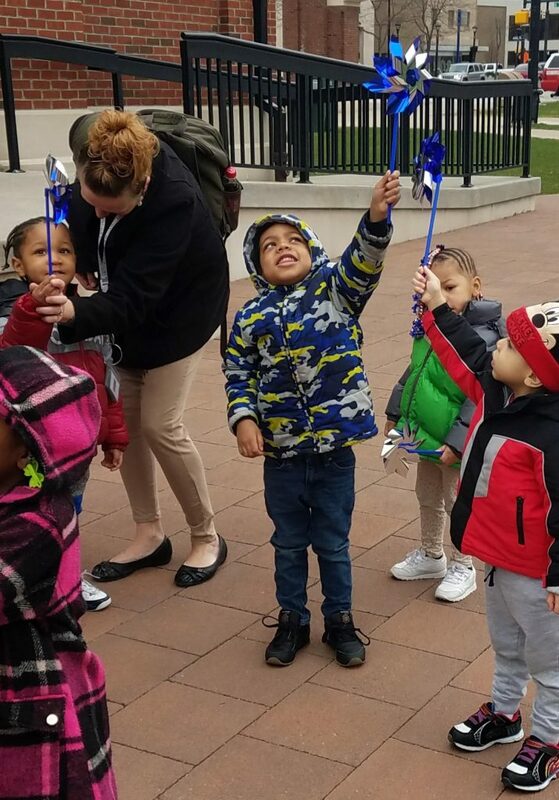 Early Connections children planted bright blue and silver pinwheels in Perry Square last week. 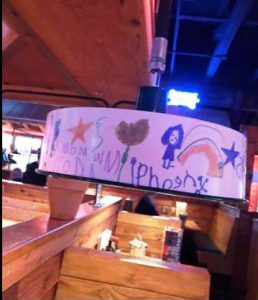 The Pinwheels are meant to help draw awareness to April as Child Abuse Prevention Month and to remind us all that each child deserves an equal chance to thrive and grow. 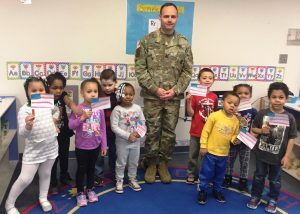 Sargent George Koches from the US Army was the guest reader at City Center recently. We enjoyed our visit with Sargent Koches and hope he visits us again! 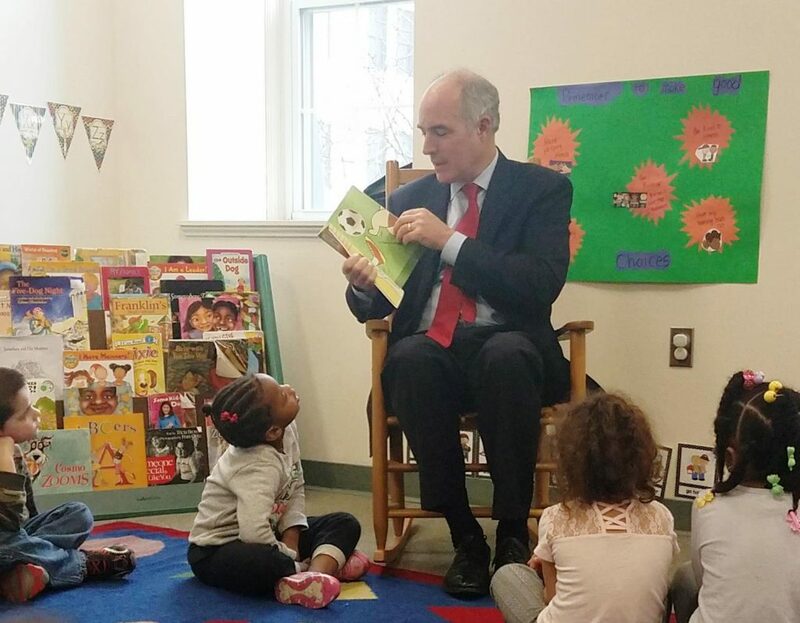 Children at Early Connections City Center enjoyed a visit from U.S. Sen. Bob Casey on March 22nd. 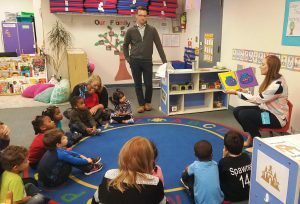 Sen. Casey read the book, Bounce by Doreen Cronin, to the children who showed their appreciation by presenting him with a special gift to take back to Washington. 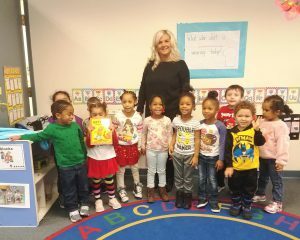 Kelly Neville from the Erie Redevelopment Authority visited City Center recently to read to our preschoolers. 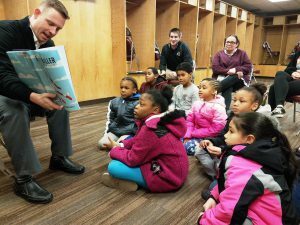 They learned about lead and why it is dangerous for kids. Thank you Kelly! 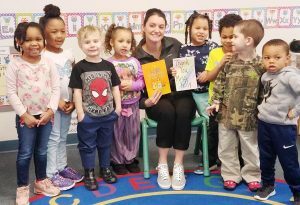 Our Butterflies classroom enjoyed having Erie County Executive Kathy Dahlkemper read the book Betty Bunny Didn’t Do It to us. We hope she will visit us again soon! 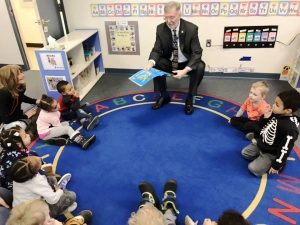 having Mayor Schember read to them. 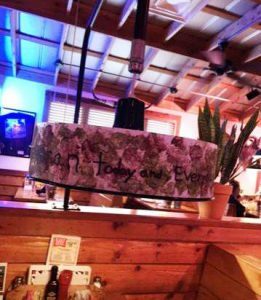 The Adventures of Gary & Harry: Two Turtles captured everyone’s attention! 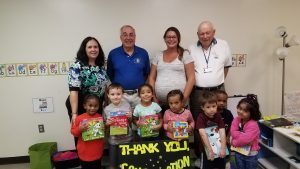 Early Connections is grateful for the Erie Kiwanis, who secured a grant from Constellation Energy to purchase books through Hooked on Books for Kids. 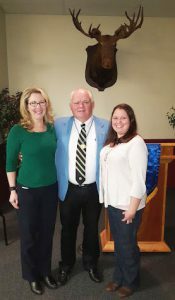 Pictured left to right presenting one of our City Center preschool classrooms books are Erie Kiwanis President Bill Sapone, and Kiwanis Joe Murphy. 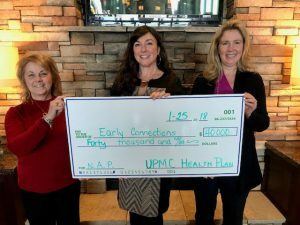 Early Connections is very thankful to their partners, UPMC Health Plan, for donating $40,000 through the Neighborhood Assistance Program. 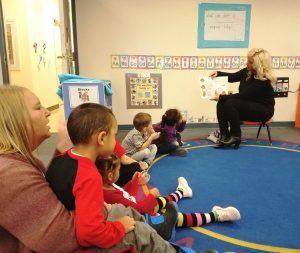 This funding will be used to provide high-quality curriculum in each of the Early Connections classrooms throughout Erie County, delivering the best early learning opportunities for children to become better prepared for success in school, and life. Pictured (L-R): Darlene Kovacs, Executive Director, Early Connections; Jenny Weigold Geertson, Senior Manager, Regional Community Relations and Marketing Operations, UPMC Health Plan; Michelle Harkins, Associate Executive Director, Early Connections. 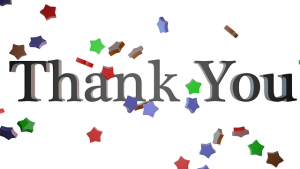 Thank you to everyone who donated so generously on Erie Gives Day to help Early Connections improve our playgrounds! 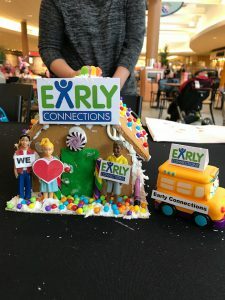 Early Connections is pleased to present the information in this annual report to the community. We remain committed to our mission, providing leadership, advocacy, and quality programs in early care and education. 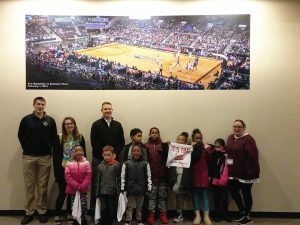 We believe this represents the best means to assist young children and their families, giving young learners the enthusiasm and tools to succeed in their future education. 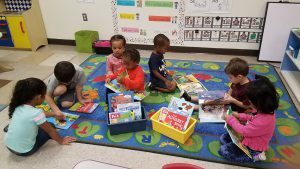 We work closely with our community partners to continually increase children’s access to quality early learning, and to provide an increasingly-diverse community of learners with multiple opportunities and means to explore new information, skills, and ideas. 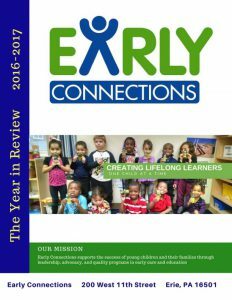 In this report, we highlight Early Connections’ work during the 2016-2017 year within our organization and with our many community partners and supporters. 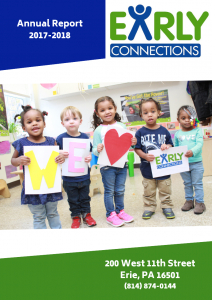 We continue to work for Erie County’s future by inspiring children’s love of learning and by connecting with families to ensure their children’s success.